continued contributions to tax-exempt charities. If a debtor cannot pass this “means test,” then there exists a ‘presumption of abuse,’ which essentially means that the person’s Chapter 7 case could be dismissed, or converted to a case under Chapter 13. Only a handful of people are immune from the means test: soldiers who have incurred their debt while in defense of this nation, people on social security, and some people in the reserves or national guard. And- wealthy people like Sinbad. 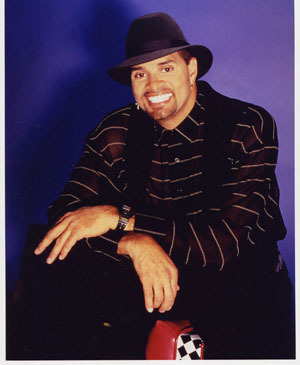 According to Sinbad’s bankruptcy schedules, he grossed over $1 million in the six months leading up to his bankruptcy filling. After all of his business expenses (which includes around $14,000 in monthly legal fees, $14,000 in travel expenses, and $6,800 in ‘personal expenses) Sinbad claims to make, on average, $16,000 per month. After all of his expenses, Sinbad clams to have no money left over to pay his bills. According to the U.S. Census, the median income for a family of two (presumably Sinbad and his wife) in California is roughly $64,000. So- the question I hope everyone is asking is “How come Sinbad, with his alleged $192,000 per year, is able to pass the means test?” The answer: Most of Sinbad’s debts are “nonconsumer” debts. Most U.S. courts have held that if greater than half of the dollar amount of a person’s debt is non-consumer or business, the means test does not apply. Essentially- in 2005 Congress made it more difficult for everyone to file for Chapter 7 bankruptcy- except for soldier’s in active duty, retired people with social security as the only source of income, and people with ‘business debt.’ Out of the dozens of clients I’ve represented that own their own small business, only a handful have been able to be exempted from the means test. Congress gave wealthy ‘business owners’ like Sinbad a huge break and ordinary Americans the shaft. I don’t fault Sinbad for obtaining the relief that he is entitled to under the bankruptcy code. I fault Congress for letting people like Sinbad out of their debts but not letting the electrician, construction owner, and several employees of the United States Air Force at Hill Air Force Base obtain the same relief. My clients were obliged to file under Chapter 13 to repay a portion of their debts. Why is Sinbad immune? No doubt- the answer lies with campaign finance and those who can throw dollars behind their voice. This is why I have, do, and always will be a advocate for rigorous campaign finance reform. It is the problem that will solve all the other problems. Everyone is entitled to the relief provided for them by law. If you have business debt that is crushing your finances, then you should obtain relief! If you have a small business or not; if you are crushed under business or consumer debt- call my office for a free consultation.